Boulder and Denver families trust the 2016 Honda CR-V above all other crossovers thanks to its outstanding safety credentials. From premium protection features to superlative crash-test ratings and a full complement of available driver-assistance features, the 2016 Honda CR-V clearly makes your welfare a priority. Vehicle Stability Assist (VSA): Helps prevent drivers from losing control while cornering by applying individual braking power to each wheel when a loss of control is detected. Multi-Angle Rearview Camera with Guidelines: Features Normal, Wide, and Top-Down viewing modes, plus guidelines to help you slip into tight spaces. Hill Start Assist: When the CR-V detects that you’re on an incline, it will automatically hold the clutch down until you hit the gas in order to prevent you from rolling downwards. 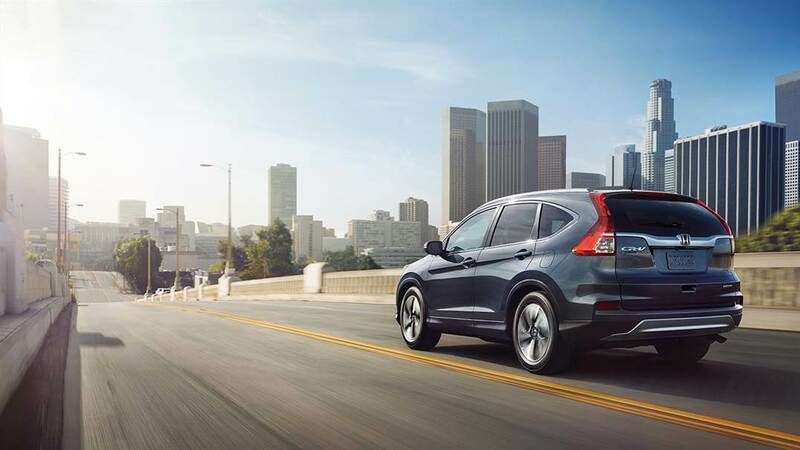 The 2016 Honda CR-V received a 5-Star Safety Rating* from the NHTSA. The 2016 CR-V Touring earned a top score of “Good” in all crash tests performed by the IIHS, plus a rating of “Superior” in terms of Frontal Crash Protection. Those ratings are why the IIHS named the 2016 CR-V Touring a 2016 Top Safety Pick+ vehicle. Collision Mitigation Braking System (CMBS): Applies the brakes to prevent a crash from occurring or reduce its severity. Forward Collision Warning (FCW): Provides an alert if a frontal collision becomes likely. Lane Departure Warning (LDW): Provides an alert if you begin to deviate from your chosen lane with signaling. Lane Keeping Assist System (LKAS): Applies gentle corrective steering pressure should you fail to heed the Lane Departure Warning. Adaptive Cruise Control (ACC): Adjusts your cruising speed to account for your distance from the vehicle ahead. It’s clear from the 2016 Honda CR-V safety features that Honda values the safety of its drivers in Denver, Boulder, and around the world. If you’d like to find out more, just contact Fisher Honda today. * Government 5-Star Safety Ratings are part of the U.S. Department of Transportation’s New Car Assessment Program (www.safecar.gov). Model tested with standard side airbags (SAB).